Enjoy some ZEN around your spa! 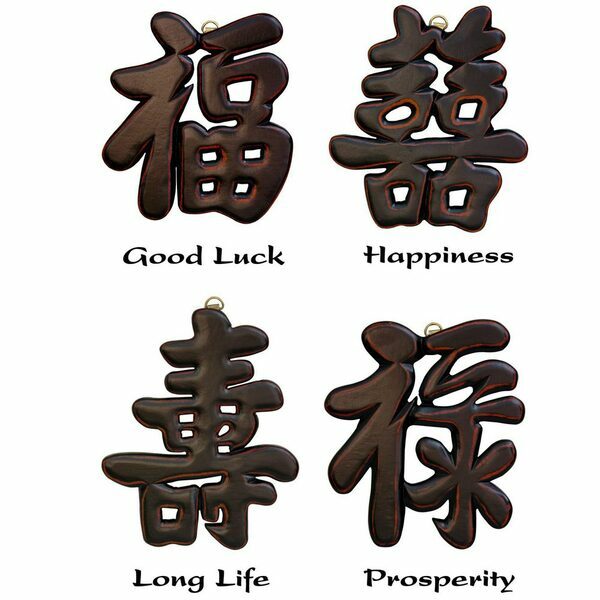 Lovely, unique set of 4 Tao good wishes symbols; Chinese "hanzi" or Japanese "kanji". Decorative wall plaques carved from fine kiln dried Rosewood, finished with a beautiful hand rubbed, distressed oriental black lacquer. They express wishes of luck, prosperity, longevity, and personal affection for your business! Send good wishes, and positive vibes to all your clients!